The Konjac Sponge Company presents 100% natural and reusable Eye Pads, expertly handmade purely from pure Konjac plant fibres and Volcanic Water – perfect for gently removing makeup and exfoliating the delicate eye area. Wafer-like and ultra-lightweight, the innovative biodegradable pads have a unique net-like structure that turns silky soft when wet and works to deeply cleanse and gently exfoliate; eliminating impurities and stimulating blood flow and cell renewal. Konjac is a natural wonder – it’s been used in Southern Asia for over 1,500 years as a medicinal and beauty treatment, and it is alkaline based thus balances any acidity in skin and restores optimum pH levels. The kit contains eight cleansing pads, a mesh drying bag and a soft travel pouch for on-the-go. Lasting for up to 3 months, the pads are suitable for use with your favourite cleansing products or simply on their own. Just add water and experience an all-natural, rejuvenating cleanse that will leave skin feeling touchably soft and refreshed. Use - The pads should be hydrated under warm water and then gently squeezed out. Then simply add a small amount of your favourite cleansing products, to remove your make up. If you are wearing water soluble make up, or no make-up at all, no additional cleansers will be needed. Care - The pads should then be rinsed out and popped into the mesh bag that comes with the kit, and hung to air dry. Never use when dry. Never leave in the shower or in a pool of water. 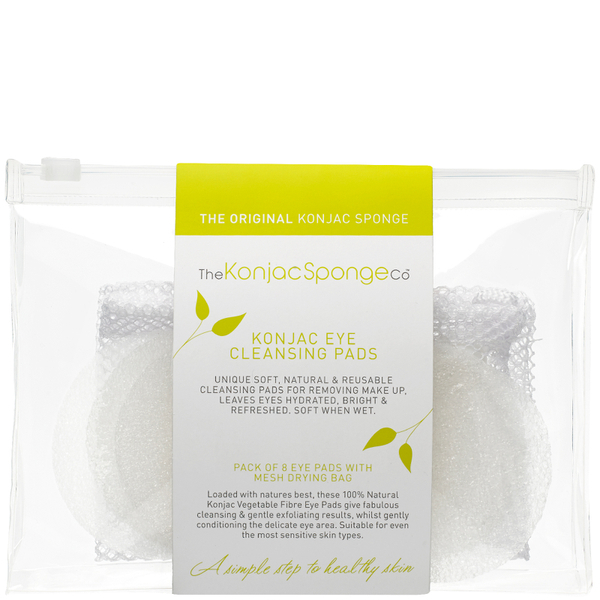 Your Konjac pads are a 100% natural vegetable product and should last 2 to 3 months. Once it starts to look tired and/or breaks down, replace it.